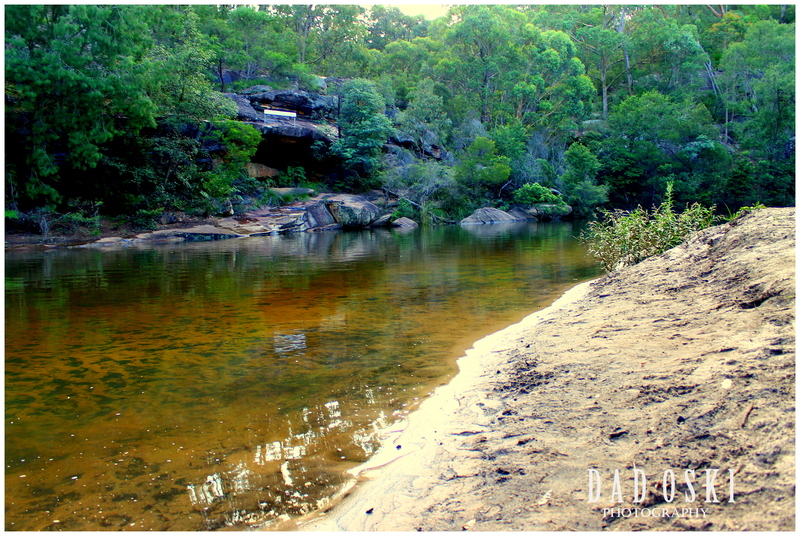 We were then having a good stay at the Wentworth Falls Lake in Blue Mountains when we decided to get down to the Jellybean Pool at Glenbrook, and that was about four in the afternoon of summer. 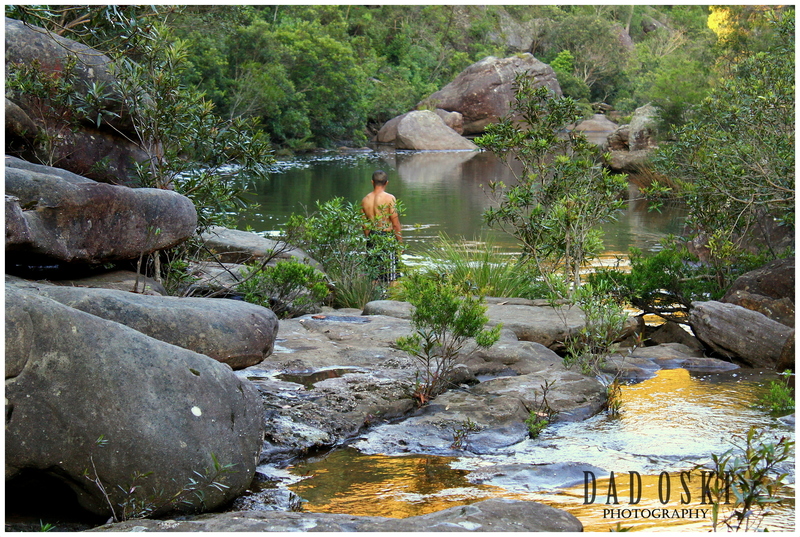 This picturesque naturally formed swimming hole in a shape of a jellybean is very popular to the local folks. We reached the place but the car park already had closed but still we managed to park along the side of the road not far from it and the lady caretaker just instructed us to walk down the track with stairs. But that wasn’t easy really to get into there because we did have to carefully walk on these stairs flanked by sandstone cliffs leading to the river down below and we sweat a lot in that process. It is not recommended for those oldies and young kid’s to walk through them. As we went down the Glenbrook Gorge, we passed by big gum and grass trees, birds chirping on top of trees, a natural beauty indeed that mustn’t be missed out and so we stopped at some few stairs down to enjoy the scenery of the mountain tops. Well, the river was calm and still with sandy shore. I had to explore the extent of the river to get more stunning photographs and that I did by climbing up and down those huge boulders along the river bank until I reached the dead end part and soon after some of our companions also followed me down the track. One of our companions can’t help but to take off his shirt and had a good swim into the cool water of the river, all I can do was to take photos of him and the scenic landscape of the place. It’s a nice place and we could have stayed long enough here but because it’s getting dark, we had to get back up and head home. I have more photos in my photo gallery at the sidebar for you to view them.